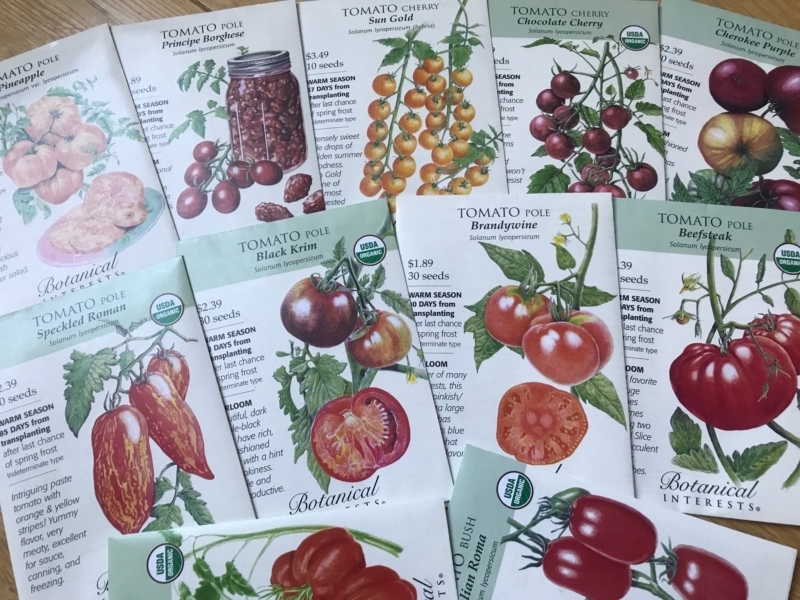 This is the time of year when all those colorful seed catalogs are delivered, and gardeners pore over their pages in anticipation of the season to come! All those pictures of plants at their peak and in perfect health allow us to dream of a garden bursting with color and productivity. Is ordering seeds the way to get there? It can be, as long as we are realistic about our ability, time, and expectations. There are several benefits to growing from seed. Growing from seed can be much more economical than buying plants ready to transplant. With the average seed packet costing around $3, it’s easy to see how investing the time and energy in growing from seed can give you more bang for your buck. 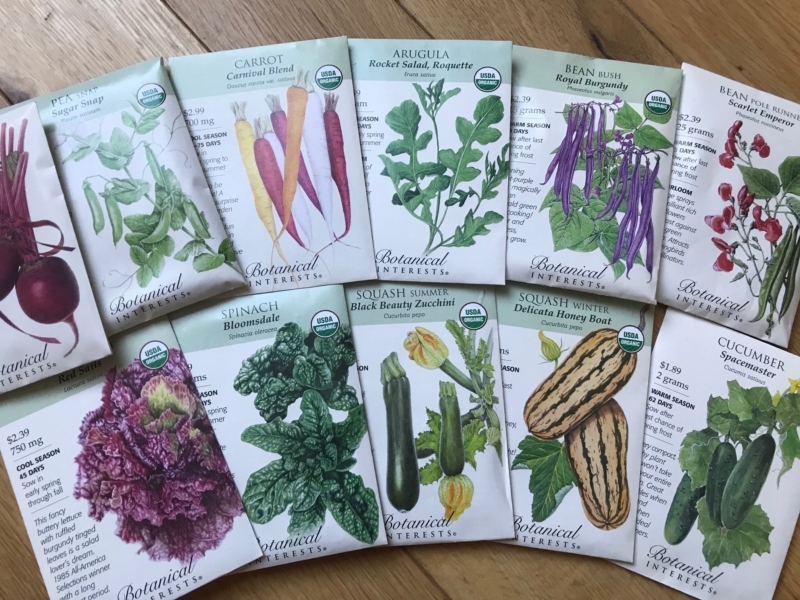 Growing from seed offers gardeners access to more plant varieties with additional options of purchasing organic or non-GMO seeds. Caveats do exist when growing plants from seed. It’s easy to look at those beautiful catalogs and get carried away! When planning your order, be realistic about the number of plants and varieties you have the time and space to care for. Read the descriptions of each variety you are considering. How many days does it take to reach maturity or harvest? Our relatively short summers may not accommodate the extra time long-season produce, such as watermelons or tomatoes, take from seed. In this case, buying transplants may be preferable. Additionally, some seeds need specific conditions to germinate. Do you have the resources to provide those conditions? If not, perhaps an easier-to-grow variety would be a better choice. Being honest with yourself about your climate and resources will benefit your success rate as well as your budget. If you’re interested in trying growing from seed, there are many great sources. Check out Baker Creek Heirloom Seeds at rareseeds.com, botanicalinterests.com, Creambelt Seed Company at creambelt.com, Harrisseeds.com, Highmowingseeds.com, Johnnyseeds.com, Pinetree Garden Seeds at superseeds.com, and Stokeseeds.com. These seeds are some of our favorites. Search out your local nursery or garden center to see what seeds are available. Check out any unique varieties in transplants too. If only 1 or 2 plants are needed that may be a better investment. Balet Flowers & Design has Creambelt Seeds (from Ballston Spa, NY) and Botanical Interest Seeds but also offers starter plants for a wide variety of annuals, cut flowers, herbs, perennials, and vegetables. Tomato heirlooms and small perennials are a few of our specialties that is worth the drive to add to your garden. Here are the best plants to direct seed into your own garden.